Carnival #313 all lace, deep low plunge bustier, underwire, fiberfill, light boning for comfort and fit. 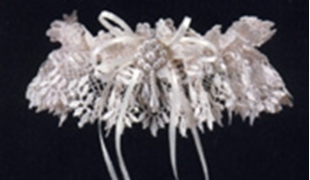 Beautiful lace design with removable garters. Splendor In Lace Collection.